PLEASE NOTE – This 2nd Edition now contains many more photos. 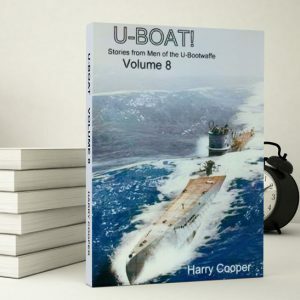 This book is unlike any other about the history of the U-Bootwaffe because each chapter was written by a veteran of the War at Sea. These are their memories; these are their words. No researcher could write anything even close to “U-BOAT! (Volume I). This is from the men who were there. There is a stirring Introduction by famous author Captain EDWARD L. BEACH (1163-1989) USN (Retired) with words of praise for the abilities and honor of these men. Beach has published many books, including the famous ‘RUN SILENT, RUN DEEP!’ Another by RICHARD HENRICK (2568-1992), who wrote many submarine books including ‘CRIMSON TIDE’, about the merits of this book. Chapter 1: ‘The First Boat’ – GEORGE HÖGEL (240-1987), radioman on U-30 and then U-110, remembers sinking the first boat of W War II which was the passenger liner ATHENIA. 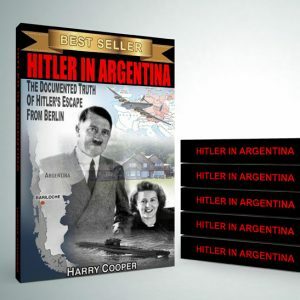 He also remembers the loss of U-110, the death of his Skipper Fritz Julius Lemp, and the ultimate capture of the Enigma Machine & all the codes. Chapter 2: ‘The Top Skipper’ – Flotillenadmiral OTTO KRETSCHMER (122-1985) talks about various actions aboard U-23 and U-99. He was known as ‘Silent Otto’ because he would not make propaganda broadcasts. He earned the Knights Cross with Oak Leaf and Crossed Swords. Only 5 men of the U-Bootwaffe earned this high award. Chapter 3: ‘From Sailing Ships to U-Boats in Paradise’ – Oberleutnant OTTO GIESE (45-1984) takes us on a thorough history of his time in the merchant marine, to a cadet in the U-Bootwaffe, then to the heavy battle actions in the Arctic Sea. Chapter 4, ‘An Old French Warship’ – Captain Roberto Rigoli tells of his actions in the submarine war. He earned Italy’s second highest award, the Medaglia d’Argento (the Silver Medal) for bravery. Memories of the Italian submariners are rare indeed, and this chapter reads great. Chapter 5,‘Need for Improvements’ – Here, Grossadmiral Dönitz himself goes into great detail on what is required in the way of armor and armament for the U-Boats to be able to overcome the advances made by the Allies in submarine detection and location and weaponry. This was meant to turn the tide of huge Allied advances in early and mid-1943 which made the U-Boats an incredibly dangerous service. Chapter 6, ‘The Third Most Successful Skipper’ – RADM ERICH TOPP (118-1985) was Skipper of U-57 and U-552 in many very successful combat missions in the war, and then in command of U-2513 as the war ended. In this chapter, he goes into detail on some of his actions with particular attention to the accidental sinking of the old four-stack US Navy destroyer, USS REUBEN JAMES. Topp was one of only five U-Bootfahrer to earn the Knights Cross with Oak Leaf and Crossed Swords. This is pure history! Chapter 7, ‘A Hard Drinking U-Bootfahrer’ – OTTO DIETZ (209-1986) led a charmed life, although it probably didn’t seem that way to him at the time. He was a Sanistatmaat (a Pharmacists Mate) aboard U-180, a very rare Type IX-D1boat on a special mission to the Indian Ocean. They were to transfer Indian National leader Subhas Chandras Bose plus a lot of technical data to a Japanese I-Boat, then take aboard a quantity of gold for Germany. Otto was a hard drinker; being drunk one times too many got him reassigned to a punishment battalion on the Russian Front. Fortunately, the Russian sniper only wounded Otto and he went to the hospital in Hamburg. 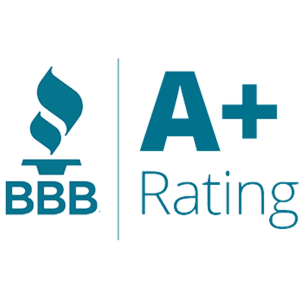 Because of his rating, he remained and worked in the hospital once he was healed. One day, the former I.W.O. of U-180, Harald Lange, was in the hospital to visit a nurse he knew and he saw Otto. He took him for his new command, as Lange was taking over U-505. OTTO tells all about it. 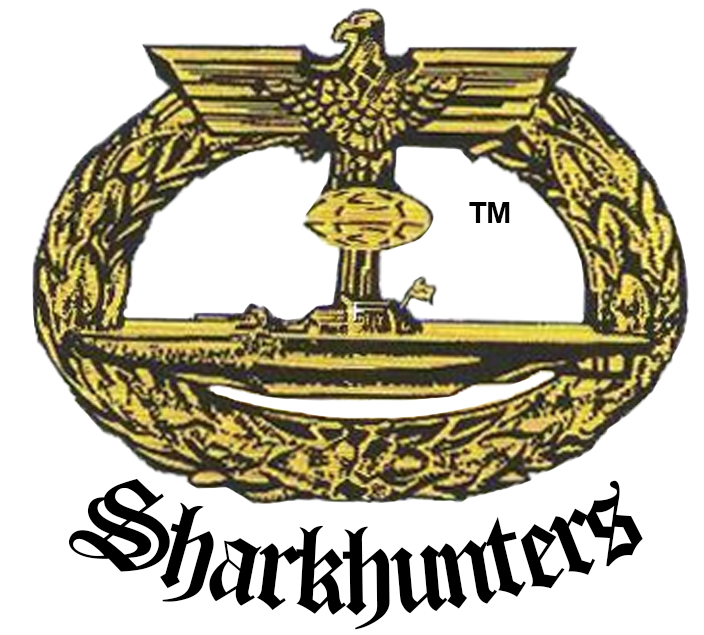 Chapter 8, ‘the Drumbeater’ – Operation Paukenschläg (Drumbeat) was the opening of hostilities against the US by Germany, and a small number of U-boats was dispatched to the east coast. Skipper of U-123, REINHARD HARDEGEN (102-1985) was the first on station and sank the first ship in American waters, thus becoming known as ‘the Drumbeater‘. He goes into great detail about this action and his subsequent patrol off the south eastern American shores. He was one of only 28 Skippers to earn the Knights Cross with Oak Leaf. Chapter 9, ‘The Italian Submarine CAPPELLINI’ – RADM WALTER AUCONI (1011-1989) was Skipper of the Italian sub CAPPELLINI during a very dangerous patrol from Bordeaux, France to Singapore on a cargo mission. He was in Singapore when Italy surrendered, and the Japanese unceremoniously tossed him and his men into a P.o.W. camp! When some German blockade-breaker ships were in Singapore, the Japanese let the crew of CAPPELLINI leave aboard the German ships. Although the WESERLAND and the RIO GRANDE tried to conceal their true identity as they transited up the coast of South America, the Allies weren’t fooled, and air attacks sank both German blockade runners. Although the German merchant Skipper outranked AUCONI, he voluntarily relinquished command of the lifeboats to Auconi, who was a combat Skipper. This chapter tells about their ordeal in the South Atlantic and their ultimate rescue. Chapter 10, ‘The Gallant Degen’ – Kapitänleutnant HORST DEGEN (116-1985) was called ‘The Gallant Degen‘ by Admiral Karl Dönitz, and he was the only U-boat Skipper to mine an American port wherein his mines damaged and sank shipping. Before departing American waters, he was spotted & sunk by an American HUDSON bomber, and quickly sank to the bottom in about 130 feet of water. He and six other men from the zentralle (and unknown to DEGEN) ten more from the bow room. DEGEN tells of his ordeal, bobbing about on the ocean for two days while the US Navy ships searching for his men were visible only a few miles away, but they did not see him or his men. He tells how some just gave up and drowned; others decided to swim to shore more than thirty miles distant. Of the seventeen who escaped, only seven made it. This chapter tells it all. Chapter 11, ‘USS BORIE vs U-405’ – In one of the most awesome battles of the Battle of the Atlantic was the clash between the US Navy destroyer USS BORIE and the German Type VII-C boat U-405, with the ultimate loss of both vessels, the entire German submarine crew, and 1/3 of the destroyer crew. This is told beautifully by BOB MAHER (221-1986), Fire Control Chief on USS BORIE. He tells of the constant ongoing combat that lasted for hours; of the brave German sailors trying to reach their deck gun only to be swept off the deck by machine guns on USS BORIE; of the German officer who tried to surrender but the ‘Cease Fire‘ order came too late on BORIE and a 5 inch shell took this officer’s head off and the battle went on. Bob tells of the final sinking of U-405 and of their attempt to pick them up only to have another U-boat alert which caused the ‘tin can‘ to go right through the swimming German crew at high speed. Eventually, they had to abandon USS BORIE because of the severe damage she suffered in the battle, and the men were lost in the abandoning as well as in the water, and then when USS BARRIE came to their rescue – and ran right over a raft in the darkness. It is all in this chapter, and you won’t be able to put the book down. Chapter 12, ‘the First Skipper of U-505’ – AXEL-OLAF LOEWE (39-1984) was the first Skipper of U-505, and he tells of his missions and of the seven ships he sank. There is humor in this chapter as well, with his cook, who didn’t know how to make tea. Chapter 13, ‘the Man Who Captured U-505’ – RADM Dan Gallery was Commander of the Task Group that captured U-505. ‘Hi Yo Silver! I want to capture this buzzard!’ is what Gallery was shouting over the mike, but some years later, he admits that ‘buzzard’ was probably not the word he used. Chapter 15 ‘R-Boots from the Caucasas to Gibraltar’ – ALFRED NUESSER (1092-1989) was assigned to these fast patrol boats, and he remembers how they gave up one base after another in late 1944. Chapter 16, ‘the Youngest Combat Submarine Skipper’ – Oberleutnant HANS-GEORG HESS (125-1985) had been a petty officer, then II.W.O. and finally I.W.O. aboard U-466, where he was quite successful and a natural leader. Just a couple months after his 21st birthday, he was given command of U-995, a Type VII-C based in Trondheim, Norway. This was late in 1944, a time when nine out of ten U-boats never returned from their first mission! HESS made five successful war patrols, sank some ships, and brought his men safely back to base each time. He earned the Knights Cross and is the youngest combat submarine Skipper of WW II; possibly of any war. Chapter 17, ‘the Last Voyage of U-3030’ – WERNER KREYMANN (1907-1991) was part of the crew of this Type XXI boat as it tried to make it to the open sea, only to be spotted and sunk by Allied air. WERNER tells of this action, then of his time in port, helping after the bombing raids. He tells of trying to pull people out of the rubble, only to find he had nothing but an arm…..or a head, with nothing else attached. 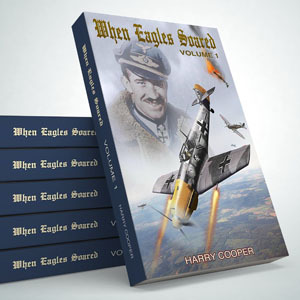 Werner tells the story of a destroyed Germany, trying to hang on until the American or the Brits could reach them before the Soviets. It was a grim and terrible time for Germany. Chapter 18, ‘What’s a Torpedo Among Friends?’ – LCDR HAROLD McCORMICK (1184-1989) was Gunnery Officer on board the Liberty Ship SS WILLIAM GASTON when they were spotted in the South Atlantic by JÜRGEN OESTEN (1681-1990) and his U-861. GASTON was sunk and most aboard survived. Many years after the war, McCormick looked for the Skipper who sank him, and he located Oesten in Germany. The men became fast friends. 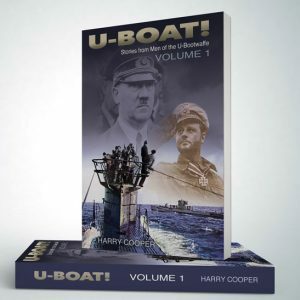 Chapter 19, ‘Gallantry at Sea’ – U-Boat crews were portrayed as savages by Allied propaganda. It was said that they machine gunned men in the water for sport and that they were all Nazis. Today of course, we know this was not true and that propaganda is a necessary weapon during wartime. HELMUT SCHMOECKEL (1455-1990) was Skipper of U-802 and he writes about the decency of the U-Boat crews toward survivors in the water. Chapter 20, ‘the U-Boats Begin to Surrender’ – Leading Signalman JIM VIZIGIAN (29-1984) was ordered to be on watch at the US Navy SubBase, for the anticipated surrender of the German U-Boats. He recalls vividly when he spotted and challenged by radio, the first German U-Boat to surrender in America. He goes on to tell of others that surrendered, of some very unusual U-Boats for which there is no record even today, and he tells of his sneaking aboard the cargo boat U-234 which carried 560 kilos of uranium for the Japanese Army to build their own atomic bomb. Chapter 21, ‘an American on a German U-Boat’ – Among the U-Boats that surrendered in the United Kingdom were several Type XXI, the newest and most modern submarine ever conceived or built at that time, and all the victorious world powers wanted a Type XXI to pattern their own new generation of submarine after. LCDR MILES GRAHAM (521-1988), an enlisted man at the time, was assigned to bring U-2513 back along with U-3008. He tells of the unhappy American crew of U-3008 when their Skipper made them remove the conning tower emblem they had hastily painted on that boat. He goes into detail on what happens when you drop a very large wrench across the terminals of the submarine batteries! They almost lost one man in the resultant fire, and the fire was so intense that the boat herself was glowing cherry red on the outside.